Elvis has left the building…in a body bag. Too many fried peanut butter and banana sandwiches. The problem was he ate 6 of these a day while consuming every pill he could get his hands on. 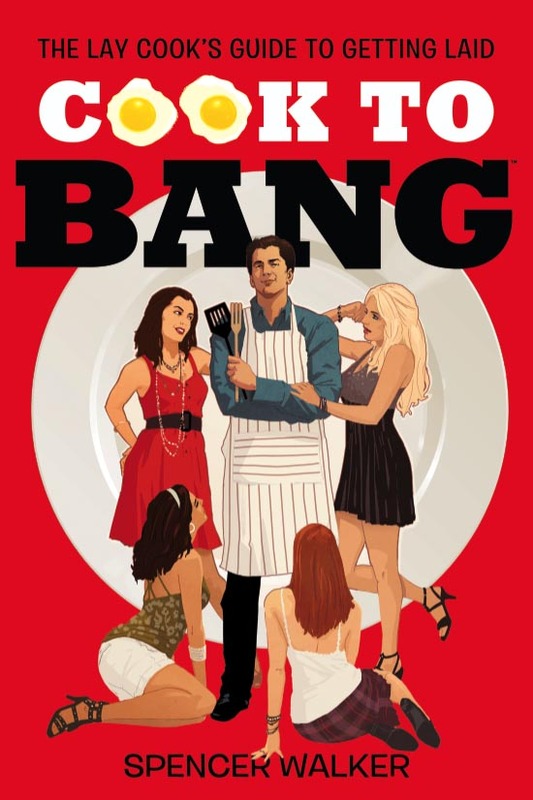 Cook To Bang does not endorse this behavior. We encourage moderation in everything except banging. But you can tell why Elvis was so happy to become a bloated rock icon in his waning days. This sandwich is soooo good, fattening contents and all. But sharing one with your lover once in a while couldn’t hurt. If it does, at least it will hurt so good. Serve this at lunch or perhaps with dessert. Be sure to crank some Elvis tunes and be a hunk a hunk of burning love. Spread butter on each slice of bread. 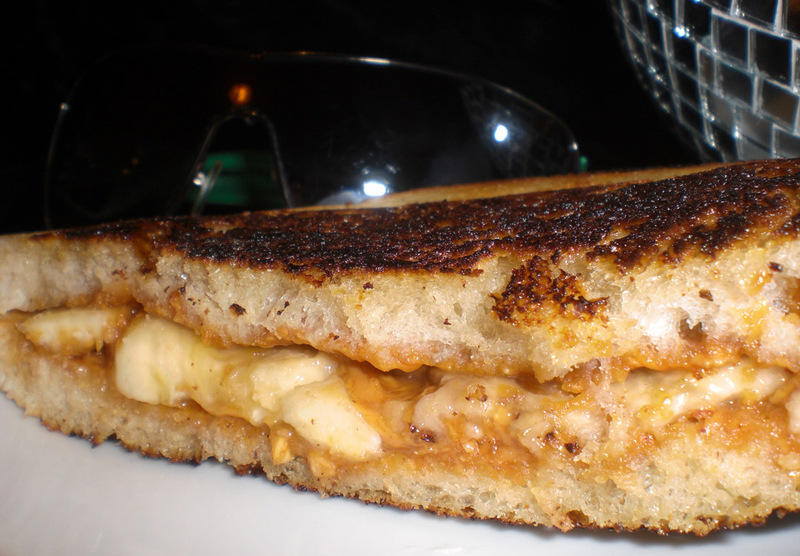 Spread peanut butter on the other side of each slice of bread. 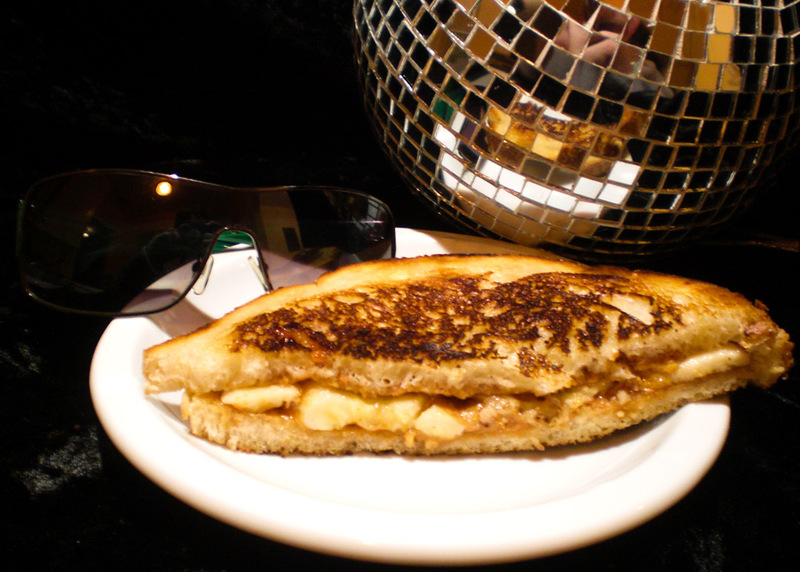 Cut the banana lengthwise in thin strips (should cut into 4 slices) and lay across one side of each sandwich. Smother the bananas in honey. Push each sandwich together. Heat a pan up on medium heat. Place each sandwich in the pan and cook each side until it is golden brown, flipping once. Remove from the pan and cut in half and serve up, preferably with some Elvis line. Thank you, thank you very much!